Get organized and create a place for every hand tool to minimize chaos in your workshop! This was a quick and easy project that anyone can make using just a circular saw and a power driller/screwdriver and, of course, a few hand tools will help as well! 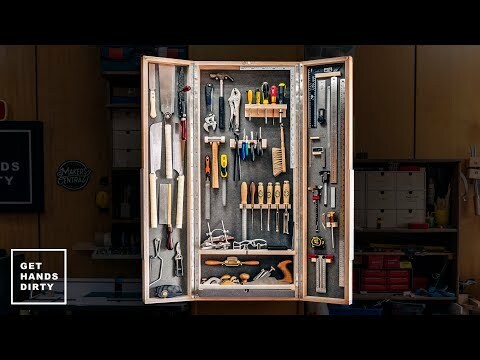 You probably own a few if you're making this cabinet! IMPORTANT: If you want to send a gift or anything thicker than an envelope, write me first on social media, otherwise I may never get your package. Is This The New Best Push Stick Design For The Table Saw? / FREE TEMPLATE!